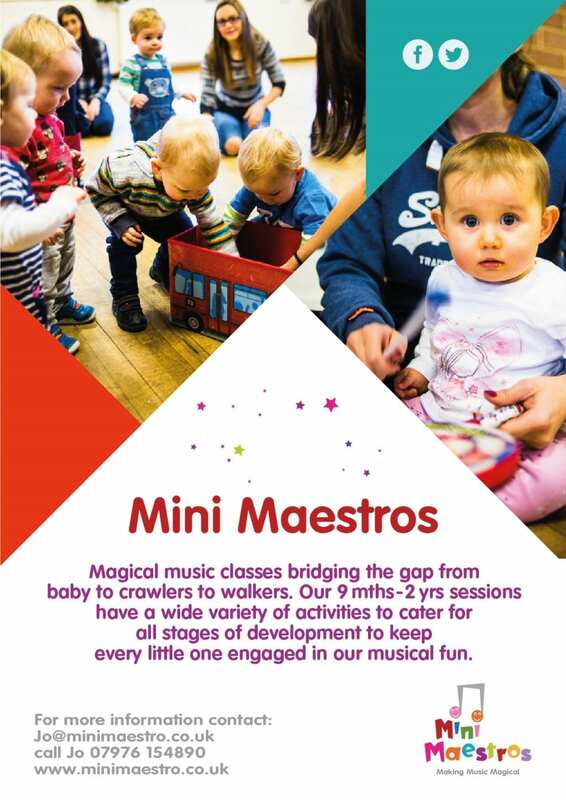 Our tiny baby classes are aimed at 3 months – 9 months. These sessions give mums one-on-one time with their babies in a warm cosy environment with time to chat and share stories over a cup of tea/coffee afterwards. We appreciate every little one is different so it doesn’t matter if they need changing, feeding or cuddling – everyone is made welcome. We can also adapt our payment schedule to suit those looming return to work days so you can continue to enjoy the fun up until the very last minute. 9 months – 2 years is the age range we see our little ones develop from sitting to crawling to walking, babbling away in their own language. 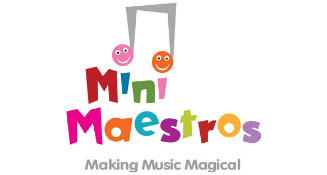 In these sessions we aim to build the confidence of each individual, develop motor skills and coordination and hopefully build on their love of music and dancing – we use a variety of different resources, instruments and visual aids to keep their attention (and give the grown ups a bit of a work out too). As our little ones approach the age of exploring pre-school or even full time school, we help encourage their independence in physical activities, concentration at story time and many basic music skills exploring tempo, dynamics, pitch etc. 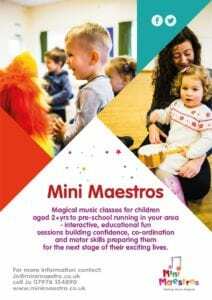 We hope to help little ones find and develop a love of music, singing and enthusiasm to learn which can be taken on to the next stage of their lives. 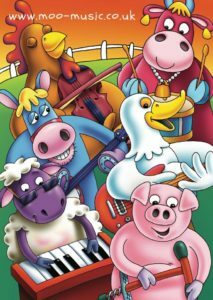 Moo Music is an exciting, interactive music and sensory session for babies up to 4 years. Baby Moo is a class suitable for newborns up to walkers and Mini Moo is targeted at toddlers until they turn 4 years of age. Come along and meet Maggie Moo and the Croo! We Sing! We Moove! We Play! We Learn! We Have Fun! Each week sees a new theme including a day in the garden, a day at the beach and weather week! 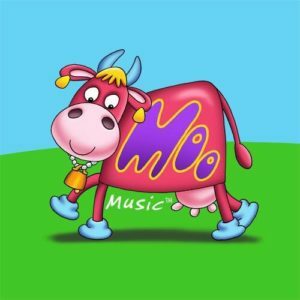 Moo Music classes will help your child gain confidence and develop memory, language and coordination skills in an exciting, enjoyable and multi-sensory way; which is great fun for children and parents/carers too. While Baby Moo is a calmer class, Mini Moo is a faster paced music and sensory session involving lots of singing, games, movement, signing and sensory play. There are lots of opportunities for creative role play and a variety of props and musical instruments! A wonderful group with craft, story, song and general play. A very welcoming group, hoping you will join us to relax play and have a coffee and a chat. Amanda’s Baby Classes teach Baby Massage and Baby Yoga to parents/carers and their babies. Baby Massage is a wonderful opportunity to communicate with your baby through nurturing touch in a relaxed environment. Baby Yoga provides physical and mental stimulation for your baby through gentle exercise and movement. BabyBeats is a unique class that aims to enhance the bond between Mum and Baby. We use a combination of elements such as baby massage, baby yoga, sensory play, pilates and post natal fitness exercises to allow Mum and Baby to get the most from each class. If you’re looking for something different to do with your baby, why not try the multi-award winning Baby Sensory at Pontefract. Every week we have a different theme with lots of lovely activities! Singing, lights, puppets, bubbles, balloons, shakers, parachutes etc. Welcome to Cloud9 – your local voluntary run community Playgroup in Ossett. Cloud9 aims to provide a fun, safe, stimulating and homely environment for all the family. It is run by a group of Early Years Practioners who have qualifications ranging from level 3 to level 6 in childcare. Whether you need an hour out of the house with the little ones, or looking for a local mums & tots group or even somewhere to celebrate a special birthday, Cloud9 can help! We love meeting new families so come and pop in for a cuppa and even some home made baked goodies. Shop and drop is 90mins for £4.50 we can do it any day and time as long as we have preferably 1 weeks notice. 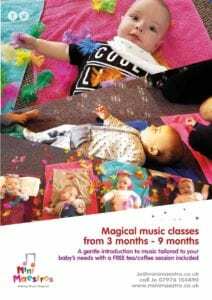 Dream Time combines, singing, yoga, massage, soft gymnastics and fun and is the perfect combination of baby time and parent time (often the parent is a mummy but daddies are more than welcome) which leaves everyone feeling relaxed, bonded with baby and open to talk about anything and everything. Babies need to be 4 weeks old to start and then the classes can continue until you or your baby grows out of it! Bonjour! My name is Kerryann and I run fun, interactive French classes and clubs for children aged 18 months-11 years in the Wakefield area. Everyone gets A FREE TASTER so why not come along and join in the fun? We use songs, stories, games and drama to bring the language to life and inspire our young learners. Classes also running and available for nurseries, childminders and schools (EYFS,KS1,KS2). Gym Joeys is exciting, accessible and inclusive promoting an active and healthy lifestyle whilst developing fundamental motor skills in movement and coordination. Venue: Middlestown Primary Academy Centre-X WF4 4QE. Wednesday 1.45pm for ages 3m-18m approx. Term time only. Free taster sessions available, booking essential. If you are an expectant parent or have recently had a baby, come and join us for a natter over a hot drink and a piece of cake. This group is aimed at those who are pregnant or with babies who are happy to sit on your knee whilst you chat. PLEASE NOTE: This is NOT the Sainsbury’s at Trinity Walk. Massage your baby in a relaxed, friendly setting. Learn to help babies to relax, how to relieve wind, constipation and massage also helps babies to sleep better. Classes are of 5 or 6 parents and from my home in Ossett, Wakefield. It is also a lovely way to meet other parents in a relaxed atmosphere too. Please contact me to see when the next group is starting. Baby Massage is from 3 weeks onwards. Other classes available include Baby Yoga, Baby Reflexology, and Sing and Sign. 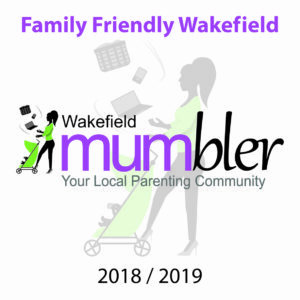 A parent and toddler group that runs from the Community Room at Sandal Magna School. Staff from the Castle Children’s Centre and Parent Volunteers help to run this group. The group is a friendly environment that is both educational and fun, where children can learn through play. Stride Theatre based in Wakefield on The Springs, offer classes to develop confidence and self-esteem. Affordable and accessible to all at just £5 per class. Call: Rebecca on 01924 806024 or email rebecca@stridetheatre.co.uk to book your child’s place! The journey to becoming a strong swimmer takes time and patience. Each child will achieve their goals in their own time, and they shouldn’t be rushed or forced into to activities they’re not ready for. The Swimbabes course is designed to let each child develop at a pace they’re comfortable, whilst always challenging them. The key to development at this early stage is repetition of success, reinforcing verbal instructions and ensuring longer term awareness of water safety and confidence. The soft play centre has two separate areas with fun for young children in a multi level play frame. There is a huge car track with lots of ride on toys as well as role play areas that are set out like a street. Every Monday, Tuesday and Wednesday 9.30- 11.30 during term time is toddler time. £2 per child which includes entry, juice, toast and craft! Designed to develop children’s physical skills of agility, balance, co-ordination and climbing, through the use of brightly coloured Tumble Tots equipment. The programme is structured to develop children’s positive personality traits including confidence and self-esteem. Each weekly session of 45 mins for the Tumble Tots programme combines fun, excitement and challenge in a safe and caring environment. A combination of storytelling, singing and craft activities – the perfect opportunity to drop in and have fun with your under 5. Doors open early at 09:30, so come and enjoy a coffee, juice and cake before the session starts! Plus, why not make a day of it and stay for lunch, explore the Nature Trail, discover soft play area and visit the ponies. The Children’s First Hubs offer a wide range of support and services for children and young people aged 0-19 years old and their families. 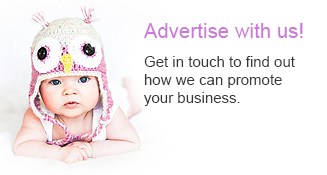 Weigh & Play is a baby self-weigh and measuring service offered by Xplore suitable for babies up to 18 months old. Grade III ISO 9001:2015 accredited weighing scales and measuring mat are provided in a private area for a parent/guardian to weigh and measure their baby. A member of the Xplore team is on hand to help with the process and to complete your baby record book. Visit as often as you want – the service is available every Wednesday and Friday between 9:30 and 10:30.